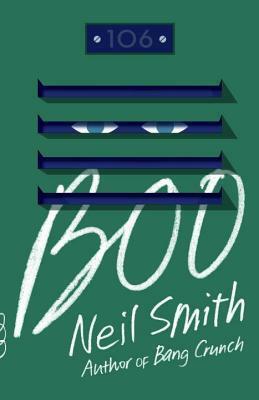 When I first started reading Boo, I was a little worried about how much I was going to like it. It sounded like a voice that you might hear in a YA book (which I was not looking for). But, I was curious about Smith’s depiction of heaven, and what else I might discover; it was clear that this wasn’t going to be your typical book. I’m glad I hung on, because it got me in the end. The story is written as a letter to Boo’s parents, with Boo as the narrator. Right from the beginning we know that 13-year-old Boo is dead. Not too long after, we learn that there has been a shooting at his school. But, who did it? Boo has no memory of it, but his friend, Johnny, also killed in the shooting, claims to know who ‘Gunboy’ is; he sees him in his dreams. So, Boo, Johnny, and 2 other new friends from heaven go in search of him, in an attempt to solve the mystery and to put Johnny’s mind at ease. We embarked on this road trip on the basis of Johnny’s memory. Perhaps that was not very wise if his memory is shaky. All of this is taking place in Neil Smith’s heaven for 13-year-olds from America. Just 13-year-olds from America. No one else. There are tall walls all around their area, and they speculate what or who might be on the other side. Maybe 13-year-olds from another country? In this place, they are looking for ‘Gunboy’. They are not sure if he is there – God doesn’t usually let in the murderers. Lately, I have not felt all that brainy. The smarts I have – about amoebae and nebulae and formulae – are useless here. What I need is the kind of intelligence that helps me understand why a boy might walk into a school and start shooting a gun, why one victim might forgive this boy, and why another never will. The search for Gunboy gets many of the other residents riled up. Especially the murder victims. It’s interesting to read what happens when a bunch of 13-year-olds are in charge of their own world. Like one of the blurbs on the back of the book suggests, it does bring to mind a Lord of the Flies-type society. Sandy claims to have the facts from back in America, but the fact is that I distrust the facts in this land I now live in. The facts of America do not apply here. The fact is that an unplugged lamp should not turn on. The fact is that thirteen-year-olds should not stay thirteen for decades on end. The fact is that people should not vanish into thin air when they die. There’s not much more I can say without giving more of the plot away. In the end, I found this book surprisingly moving and original. Neil Smith is able to keep the secrets to himself until it’s time to reveal them. It was well worth the read. And, a book that I can share with my 14-year-old daughter. The only downfall to reading this book is that you will want to know more about Neil Smith’s heaven (come on, even just a clue?). This would make a good book for discussion; there are so many ideas contained in this one story – death, bullying, mental illness, the idea of heaven and haunting, the idea of a society made up of 13-year-olds, the idea of God and what S/He does or does not control. And, what’s the deal with the cockroach? Does anyone have any insight into how this heaven works? Where’s everyone else? I think I know what really happened, but it would be nice to hear other’s opinions about it. A book for The Socratic Salon, maybe? In the Montreal Review of Books, Neil Smith talks about his book, and when he first started to wonder about heaven and what was up there. Neil Smith is also the author of national bestseller Bang Crunch. *Thanks to the publisher for sending me this book in exchange for an honest review! We’ve been tossing this one around for The Socratic Salon, so I’m glad to see you think it would be good for discussion! It was a little outside the box for me – I’m still going back and forth on how I felt about it…but I agree on wanting to know more about heaven. I felt like it wasn’t quite outlined well enough for me. And, unfortunately, I predicted the end from the beginning…though the journey there was a little different than I expected. I was able to predict some of the story, but certainly not all of it. It would probably be less fun to read if you were able to see what was coming from the very beginning. Trying not to read too much of your review — Elizabeth and I here at LH have this one queued to do as a joint read/review — originally I passed on it, but Elizabeth convinced me to take another look. We’ll have to let you know what we thought about it when we can get to it! I initially thought I’d pass on it, too, but then decided I wanted to shake things up a bit and try something a bit different from what I would normally choose. And, even though it isn’t my new ‘have-to-read-now’ type of book, I am glad I read it! Yes, let me know what you think! So I finished it on the weekend! There is a lot in there isn’t there? I really enjoyed and it did shred me a tiny bit. I was able to figure out where it was going, etc. but that didn’t really matter because it was a very interesting read. I loved the structure of it and I loved Boo’s voice. I don’t know if Elizabeth has started yet and I’m interested in seeing what she has to say about it. My daughter is reading it now. Like Penny, above, my eyes have skipped across your review, because I am actually reading Boo right now. It immediately became the favourite novel in my reading stack (I’m also reading a collection of short stories which I absolutely love, Rhonda Douglas’ Welcome to the Circus, so it is sharing the “favourite” slot currently) and I am torn between wanting to read it all-at-once and making-it-last. As much as I have tried to spin it out, however, I will probably finish it in the next day or so. I went through it pretty quickly, once I got into it. I wanted to know what happened! I just looked up Welcome To the Circus, which also sounds like a good one! Can’t wait to hear what you think! Very interesting concept! Although I think a heaven full of real 13-year olds would be chaos, this book’s storyline sounds suspenseful and thought-provoking. It kind of was chaotic. It was saved, though, by the fact that, even though they weren’t ageing physically, they were maturing mentally/emotionally. The ones who had been in heaven longer had more of the leadership roles. This definitely sounds like a unique idea! I tend to avoid books where bad things happen to kids though and the Lord of the Flies comparison scares me too. I think this might be too dark for me! It doesn’t feel dark most of the time, but there are a couple of scenes that are hard to have to think about. You have convinced me! As you usually do. I have added it to my list. I enjoy books that describe variations on the afterlife theme. That’s what I found most interesting about this book. But, I’ll warn you that you might just want to know more (beyond the confines of 13-year-old American heaven). It’s a fun read, though. Someone described it as charming, which I thought was a good word for it, although there are some dark themes running through it. I agree with almost everything… expect this: “Neil Smith is able to keep the secrets to himself until it’s time to reveal them. It was well worth the read.” I had it figured out on page 69. Still, Oliver’s journey to get to that ending was original and unexpected. Thanks for the link! Gonna read it right now. You had it figured out on page 69? I thought I did at one point, but I was wrong. Oh well, I guess it’s still good, even if you’ve guessed what happens! Read that page again… I’d discuss it, but I don’t want to spoil it. You’ll see what I mean. At one point, I thought “Maybe I got it wrong…” GAHHH! Still, so good, and the ending was satisfying anyway. Yes, okay, I see it now! I remember taking note the first time, but then I must have just let it go.